Churches Together Ashford are holding a prayer day/training event here at ABC on Sat April 1st, 10- 4pm. 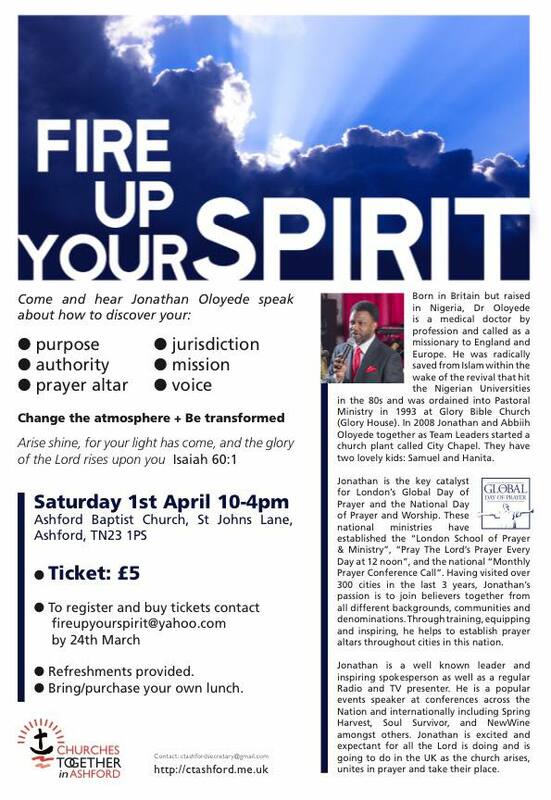 Jonathan Oloyede from National Day of Prayer and Worship will be here also. Please see http://www.ndopw.com for more information or see the flyer below.